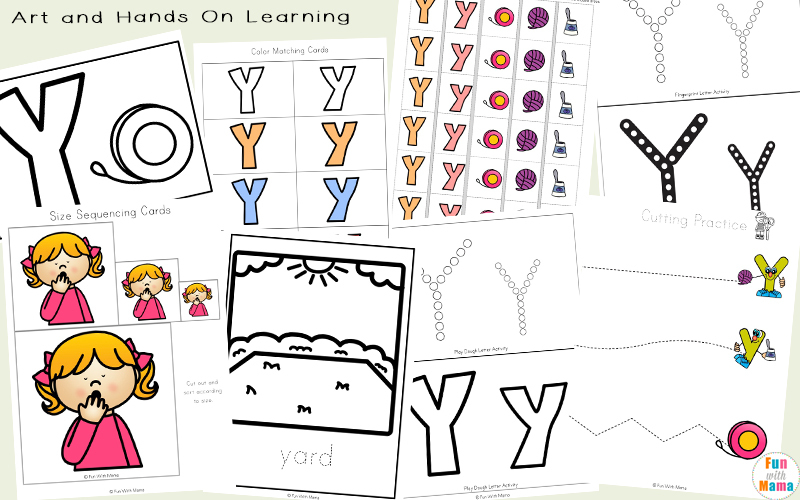 Letting little ones learn about letters through hands on activities, such as these, helps children remember even more than other type of activities. 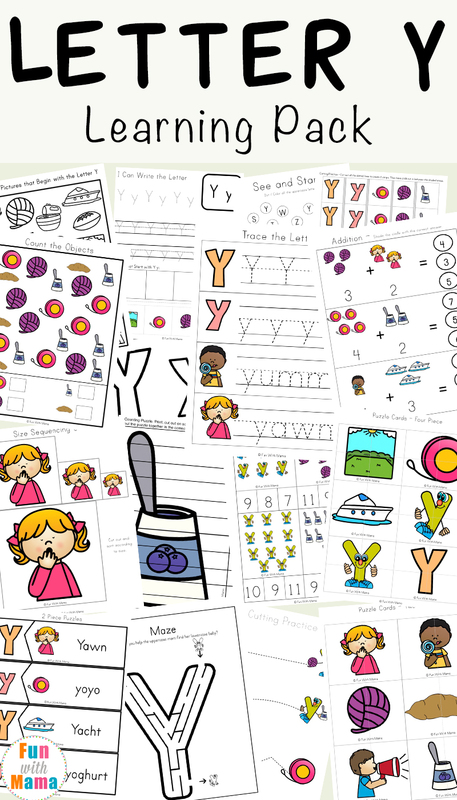 The activities will help children by providing them with a fun way to learn! 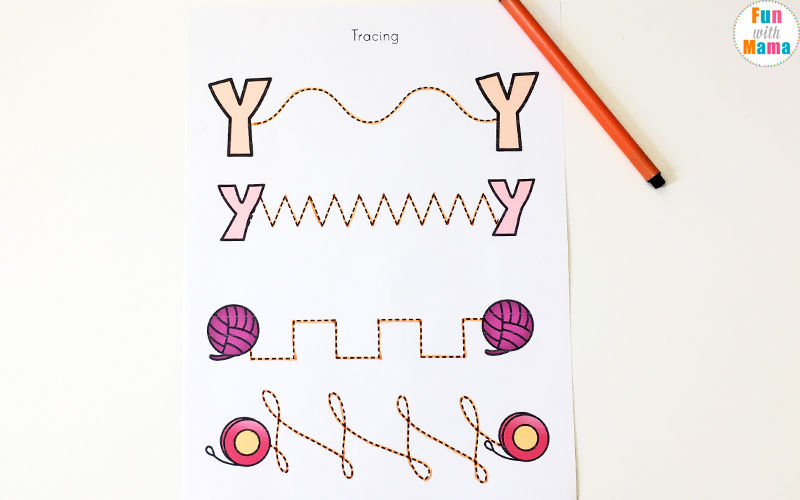 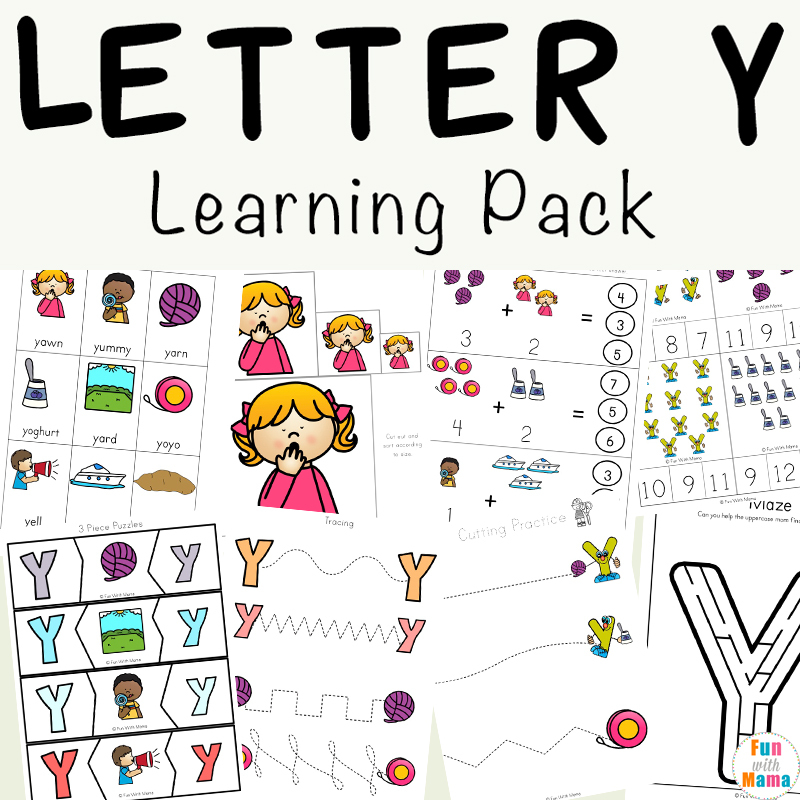 Have fun with this fantastic letter Y printable pack. 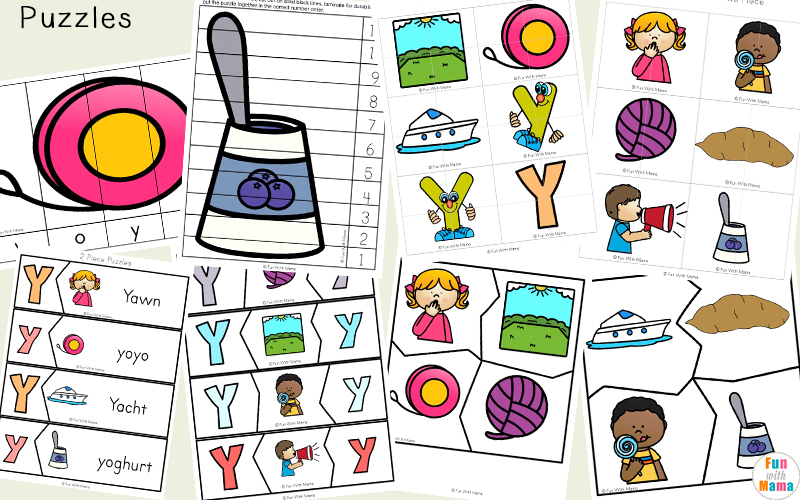 Focusing on both the upper and lowercase letters, you will find all the activities incorporate the following words: yawn, yummy, yarn, yoghurt, yard, yoyo, yell, yacht and yam. 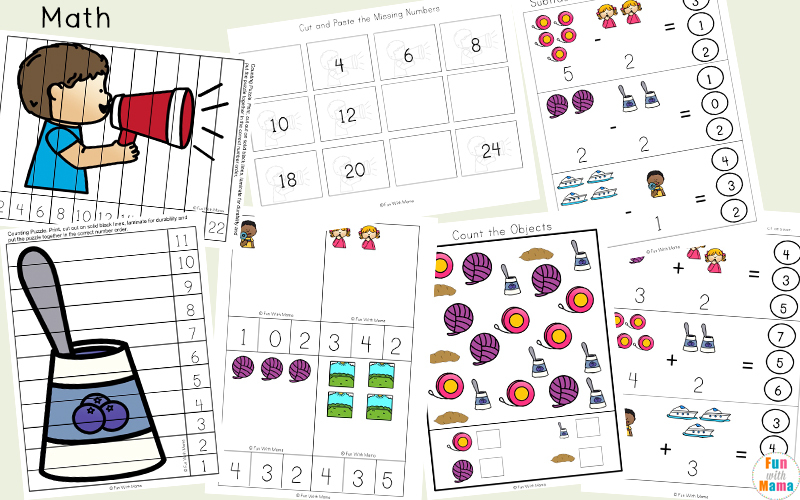 Math themed pages, puzzles and clip cards. 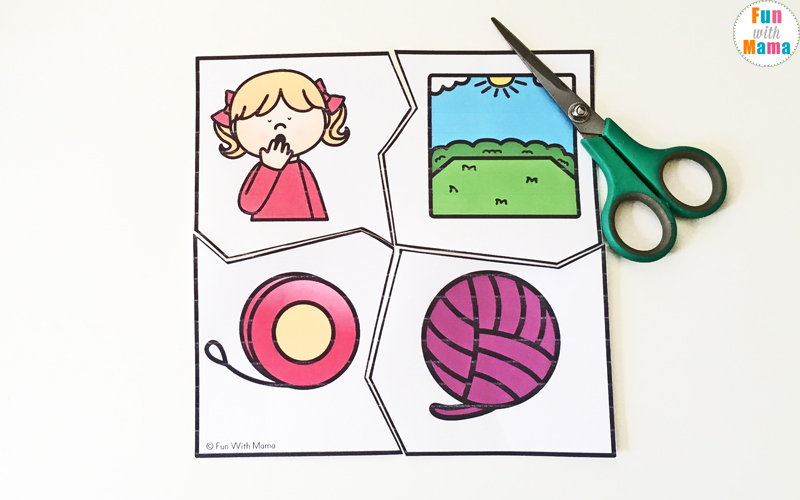 Included in this pack are twelve different puzzles. 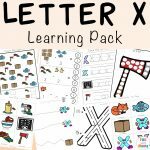 They range from easy, 3 piece puzzles to slightly more complex number and word building puzzles. 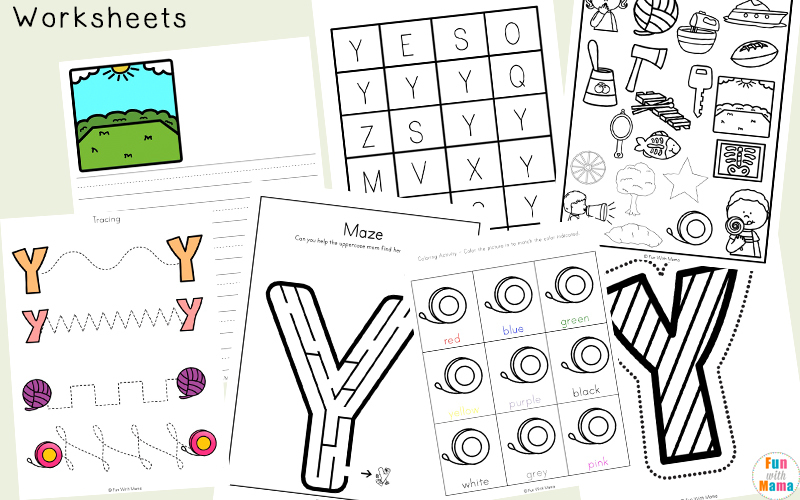 Fun for toddlers, preschoolers and kindergarteners! 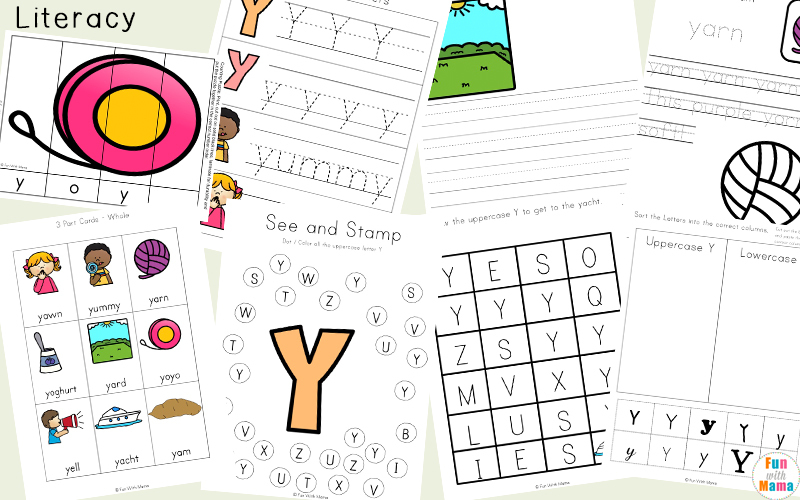 These worksheets are great for teaching children to work independently. 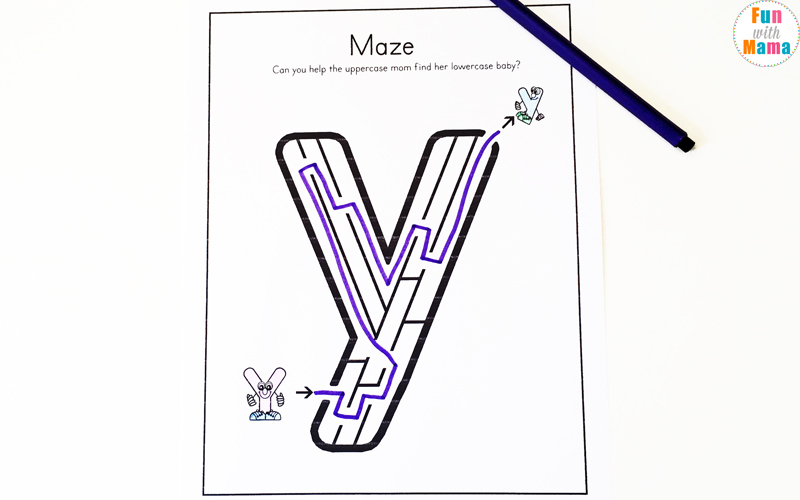 They will enjoy completing Y-themed activities that include line tracing, mazes, and coloring. 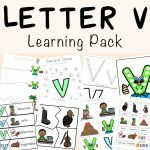 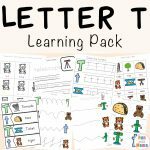 Click here to get the full Alphabet Letter Pack bundle that includes all the color and black and white activity packs. 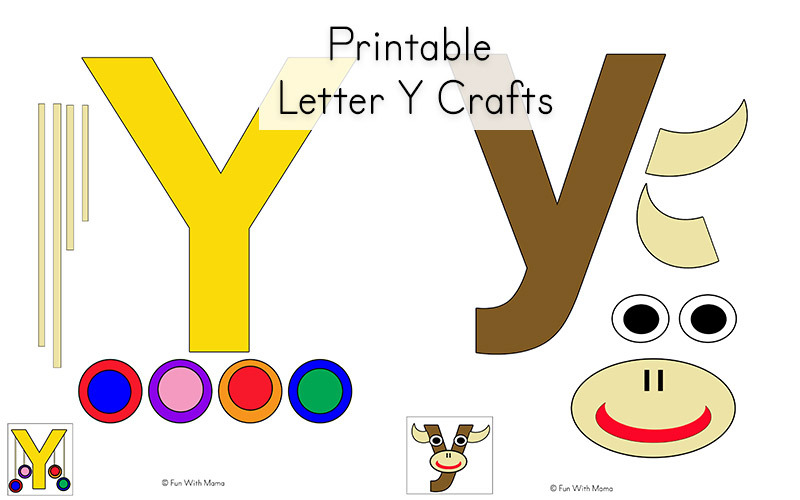 The Letter y crafts, y is for yo-yo and y is for yakcan be found in the alphabet letter crafts bundle.